Barry Pearce, Look , 'The legacy in Sydney Arthur Boyd', pg. 18-20, Melbourne, Jul 1999, 20. 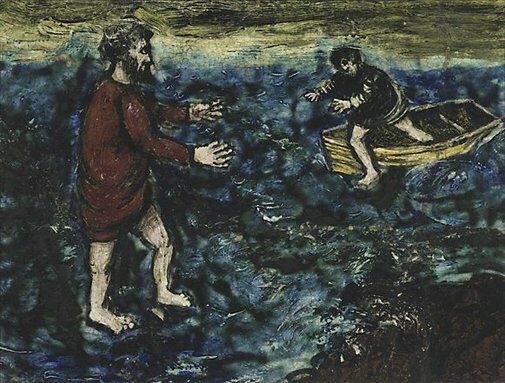 David Thomas, Deutscher and Hackett fine art auction: Melbourne 28 November 2012 , Catalogue entry for Lot 26 Arthur Boyd 'Christ walking on the water', pg. 62-63, Melbourne, 2012, 62. Editor Unknown (Editor), The Sydney Morning Herald , 'Ceramic tiles for decor', Sydney, 16 Oct 1952, page unknown. Macquarie Galleries exhibition - reference to Boyd ceramic paintings.